Location Dalton Village. In Private Possession. 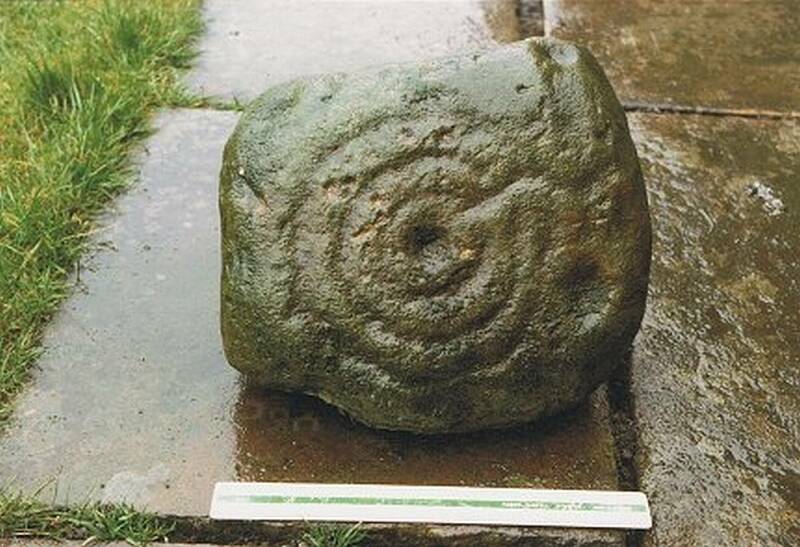 Record Name Dalton Village.Portable stone with triple concentric ring figures. In private possession. 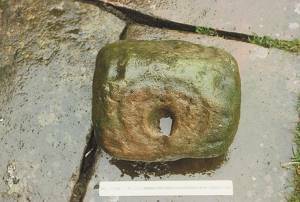 Record Description This finely marked cup and ring stone was, when last seen was within the garden of a house at Dalton Village and has since been moved to the Bowes Museum. This small rock almost certainly would have been found within the remains of a burial cairn , probably a cairn located on the high moorland above Gayles. Small 'portable' rocks like this are characteristic of decorated stones which are deposited within the body of burial cairns of Late Neolithic and Early Bronze Age Date. Reference: Stan Beckensall and Tim Laurie, 1998. The Prehistoric Rock Art of Co. Durham, Swaledale and Wensleydale.p87. Durham County Books. 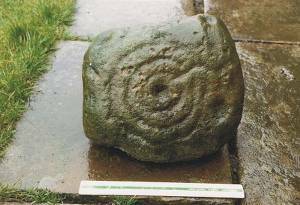 Image 1 Description Boulder decorated with several concentric ring figures. Dalton. Image 2 Description Boulder decorated with several concentric ring figures. Dalton.